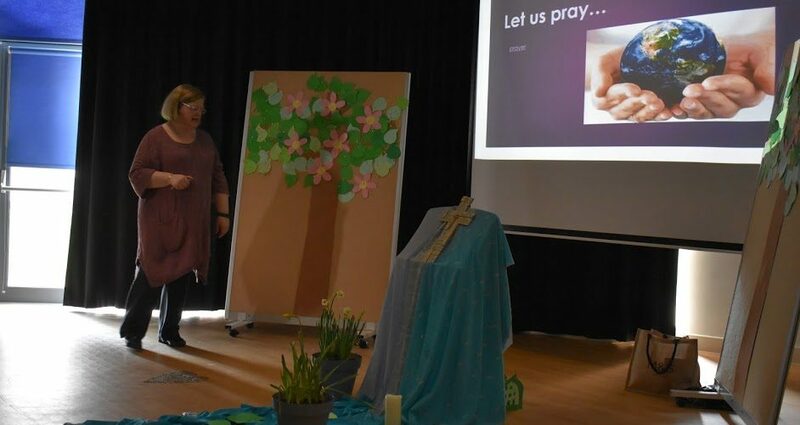 Pupils in Years 7 – 9 were given an opportunity to reflect on the meaning of Lent last Thursday; Miss Ryan organised and led a liturgy focusing on Lent as a season of growth – ‘Lent’ comes from an old English word meaning to lengthen. This is something we have been seeing all around us recently as the days get longer, trees and plants are blossoming and Spring is very definitely with us. 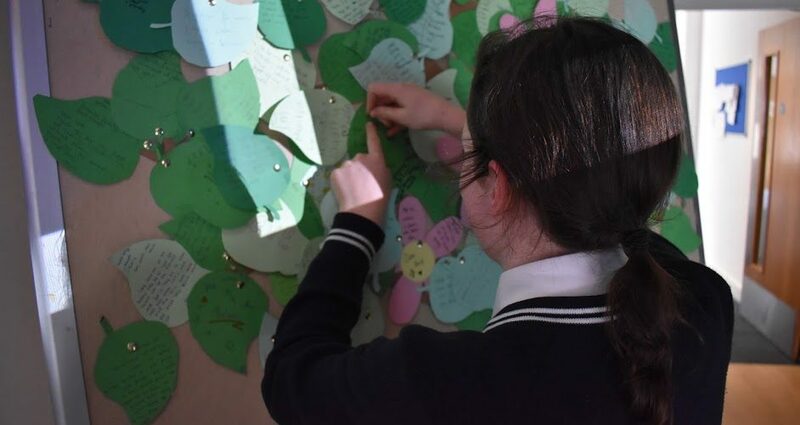 Pupils were invited to think about their journey through the season – how have they grown and how have they helped others to grow. 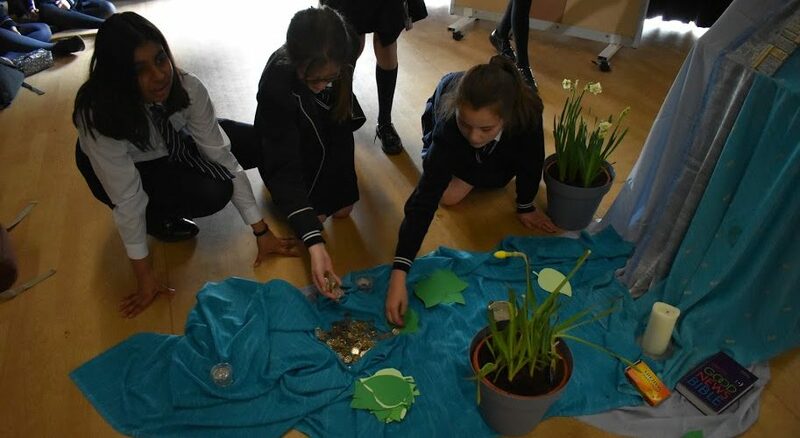 Alongside this time of prayer, we were delighted to welcome some volunteers from CAFOD Westminster, who gave a presentation on the work of their organisation and led some very active games and role-play, challenging pupils to think about how funds raised should be distributed to those in need. 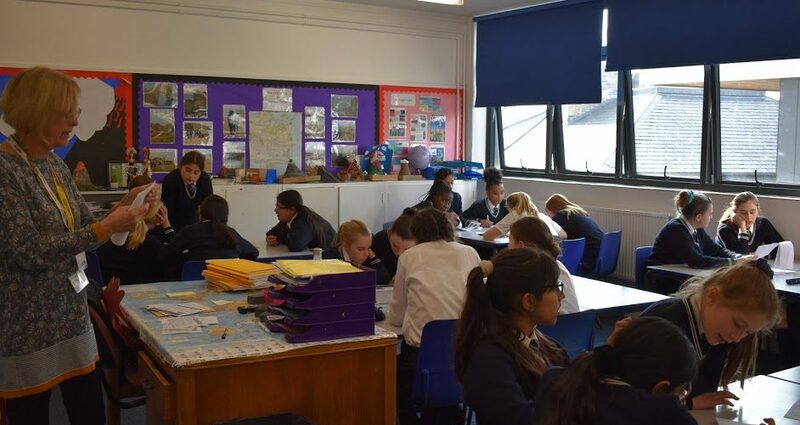 Pupil donations raised £150.00 which we will be sending to CAFOD for the Cyclone Idai appeal. The afternoon finished with Hot Cross buns and squash on the Lawn.